Whilst iOS and Android dominate much of the mobile software headlines, Microsoft has been steadily building a stable legion of support from consumers and developers alike. Windows Phone 7.5 (Mango) dropped late 2011, on the way to being voted Mobile Operating System of the Year by harboring "the most potential, with a unique interface and a rapidly growing apps selection." Windows 8 for the desktop was also teased to the general public, the first time the Redmond-based software maker has released an early Alpha to end-users as well as developers. Beneath the showy Metro UI, it’s promised to speed up boot-up times and add a host of new features, whilst boasting strong compatibility with its Xbox games infrastructure as well as mobile devices. Today, some intriguing details have emerged on what could be in store with Windows Phone 8, which currently operates under the codename "Apollo". A video presented by Senior VP and Windows Phone manager Joe Belfiore – intended for partners at Nokia – has offered an insight to some previously unseen WP8 features and themes. Speaking in terms of hardware, Apollo will add support for multicore processors, new screen resolutions (four in total, although actual pixel counts have yet to be divulged), and removable storage capabilities in the form of MicroSD slots. NFC radios will be a key feature of Windows 8 devices in a move to emphasize the company’s intention of adopting contactless payments. Dubbed the "Wallet experience" by Belfiore, the payment method could either be carrier-branded and controlled through a secure element on the SIM card, or via additional hardware within the device. As far as hardware goes, dual-core processors will be a key part of Windows Phone 8, finally. He goes on to mention the many stark similarities between the smartphone, tablet and desktop iterations of Windows 8, which will, by and large, use mutually intelligible code. This is great news for developers, who will have little effort porting apps from desktop to tablet, tablet to smartphone, and so on. The list of features is a pretty long one, but one thing that caught our attention the most is native Skype integration. With Microsoft’s acquisition of Skype a while back, it’s a no-brainer to think that future products and services from Microsoft will be tied in closely with Skype. The Xbox Companion app, released back in December for all Windows Phones, will have a partner client on the Windows 8 platform. Support for SkyDrive will enable seamless sharing of data between devices, meaning, as Belfiore puts it: an entire PC music collection would be available on a brand-new Windows Phone, with no PC sync required. 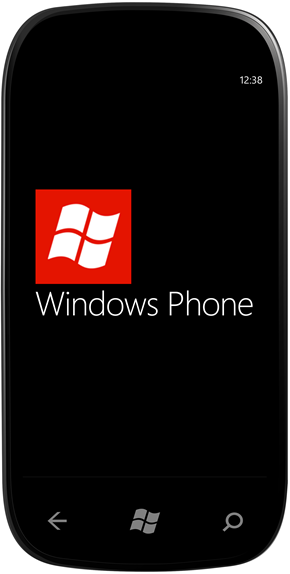 In terms of apps, Microsoft anticipates 100,000 apps to be instantly available in the Marketplace by the launch of Windows Phone 8 – rumored to be around Q4 of this year. Native code support will pave the way for more powerful apps, and also make it easier for popular iOS and Android titles to be ported across in the process. A new feature called DataSmart will aid the tracking and consumption of data usage. Favoritism will be offered to Wi-Fi connections, automatically connecting to carrier-owned WLANs when in range. So it appears Microsoft is really bringing forth the changes, and the leap from Windows Phone to the new Apollo platform could end up being as significant as the hop from Windows Mobile to Windows Phone. It will certainly be interesting to see what, if any, impact there’ll be on iOS and Android once the Apollo rocket lands in a haze of 100,000 apps.